My little girls LOVE all things Minnie Mouse! In fact, my 4-year-old just got a Minnie Mouse swimsuit for her birthday yesterday and she was THRILLED! 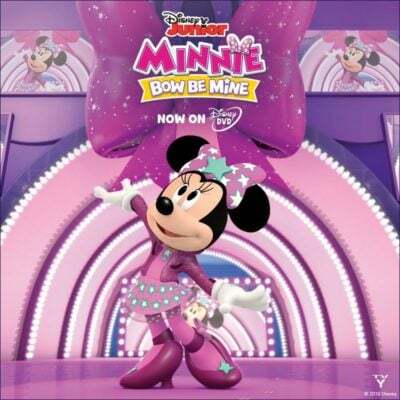 Now you and your kiddos can enjoy some Minnie Mouse adventures at home with MINNIE: BOW BE MINE, now available on DVD from Disney Junior! 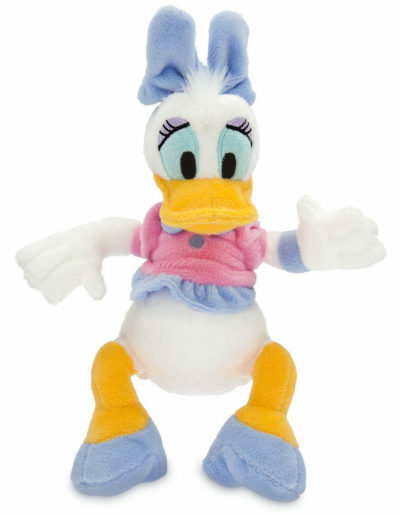 Voice talents include Russi Taylor as Minnie Mouse, Tress MacNeille as Daisy Duck, Bret Iwan as Mickey Mouse, Daniel Ross as Donald Duck, Bill Farmer as Goofy, Jim Cummings as Pete, and Jay Leno as Billy Beagle. 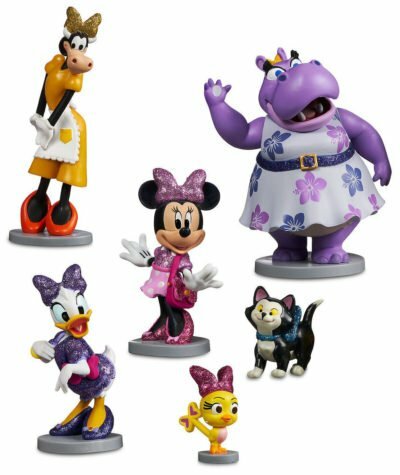 Your kiddos can play with Minnie and her friends at home with lots of fun toys, too! 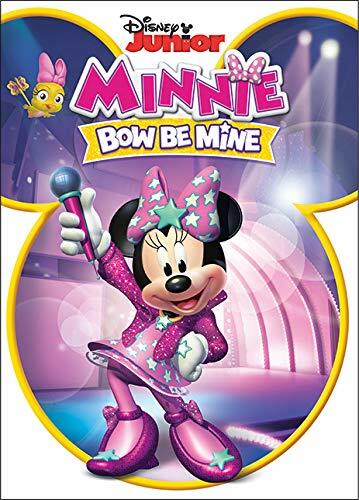 Reader Giveaway: One lucky Jinxy Kids reader will receive a Disney Junior Minnie Prize Pack which includes a copy of Minnie: Bow Be Mine on DVD! To enter, just complete the entry form below by 11:59 pm ET on 2/25/19. Good luck! The kids at the library will enjoy all of this giveaway as I will donate it. My daughter would love it! She’s a big Minnie fan. My daughter would enjoy this if I win. She thinks Minnie is cute. Yes, our kids like Minnie Mouse! She’s a big favorite around the house. “Let us know why you or your kids love Minnie Mouse AND/OR who will be enjoying this Minnie Prize Pack if you win.” Because Minnie has excellent taste in bows! My 2 year olds obsessed with minni! She loves to watch the shows! Nun son James is 4, and gen loves Minnie and mickey mouse, he would enjoy the show and toys! We love how Minnie Mouse is always happy and full of energy! I would love this for my niece she is Minnie mouse obsessed! My niece loves Minnie Mouse because she is kind. She would love this prize package. I would love this for my grand daughter. She loves Minnie Mouse. Both my daughters, ages 3 and 5 years old, absolutely love everything Minnie Mouse. I would really love to give this prize pack to them. They both have upcoming birthdays (March and May) too. My granddaughter would love this. She was just at Disney World a week ago. We love Minnie! I’d love to share this with my niece. My daughter watches Mickey and Minnie Mouse cartoons all the time. My 3 year old watches mini and mickey mouse like it was the only cartoon on tv! We have everything mickey and mini in our home so I know she would go crazy for this great prize! 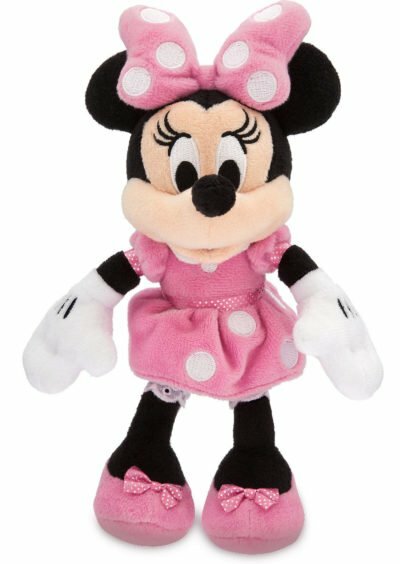 My 7 year old daughter will LOVE this, she absolutely adores Minnie! I love Minnie Mouse she so cute. I will share this with the kids in the family if I won. Little Princess will enjoy this. Only 7 and she loves Minnie. My niece loves Minnie Mouse & enjoys seeing her dance. My twin nieces would love this! My granddaughters would love this prize. 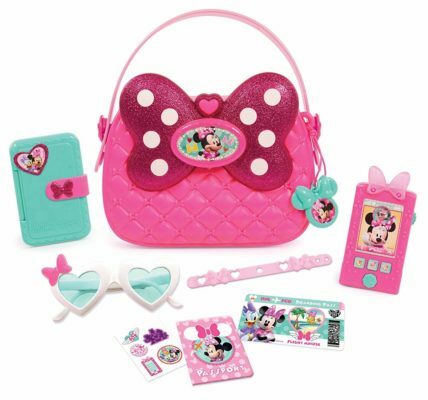 My daughter loves everything about Minnie and would go crazy for this prze pack! I would gift this ti my niece if I win, she LOVES Minnie Mouse. 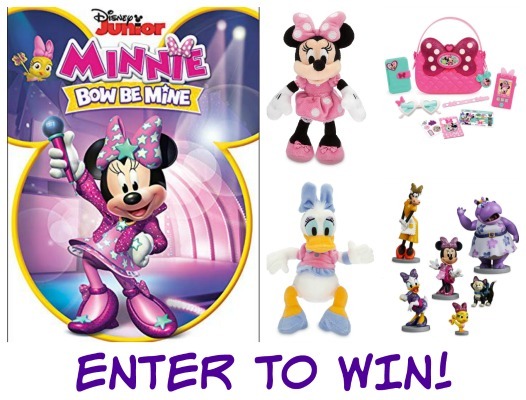 If I win my niece will be enjoying this Minnie prize pack. my cousin would love this!! I have been a Disney fan for a long time. My favorite is Mickey Mouse. I would give this to my niece. She would love it!! I would give this prize to my daughter. She loves Minnie. My sweet daughter would love this, she’s 4 and loves Minnie Mouse! My niece will enjoy this! She’s obsessed! This would make a great 3rd birthday gift for my granddaughter Violet. We love Minnie- she is so much fun and a great friend. My daughter dressed like Minnie last Halloween. She would love this prize. My granddaughters will be enjoying this. My granddaughter loves all things Disney, especially Minnie! I’d be sharing with her! My daughter loves anything Disney! My 13 year old loved Minnie growing up and now I watch it with my 2 granddaughters that are 5. They love the upbeat of minne and all the bright colors and have for years. The girls would really wnjoy having this prize to enjoy. My daughter loves Minnie. She’d love this! My granddaughter is a big fan of Minnie & she would love this! My granddaughters will enjoy this. They like Daisy and Minnie because they always wear bows in their hair. I’m pretty sure my daughter loves Minnie because she wears so much pink. My kids love Minnie because she’s so stylish. My kids love Minnie Mouse because she’s just a cute, sweet character that every young child can relate to. No snarkiness or character infighting so common with a lot of cartoons these days. My daughter and I love to sing along with Mickey and his friends. My daughter would love her mom to win! My daughter loves minnie mouse . I personally think its cause they have similar personalities. Bows, tutus, dress, caring, and giving. I have a great granddaughter that would love this. My little great nieces love Minnie! Oh my niece is a huge Minnie Mouse fan and would love this! I love her sweet ways!!! My niece will be the recipient. We love all things Minnie and Mickey! Those figurines could be turned into the cutest cake toppers! Well I love Mini and I have three nieces and my little cousins little girl under 7 who would really enjoy this movie. It would make me popular. I have liked Mickey and Minnie Mouse since I was a kid. My 6 year old daughter will get this if I win. my 6 year old daughter will get this if i win!